Rich in omega-3 oils, these fish contain calcium, iron and phosphorus. 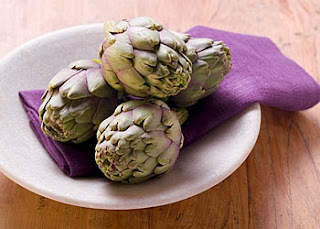 They also provide niacin, which helps with DNA repair, and selenium, for cell function. Yellowfin contains magnesium, phosphorus and potassium, and is a good source of protein, thiamine and vitamin B6. 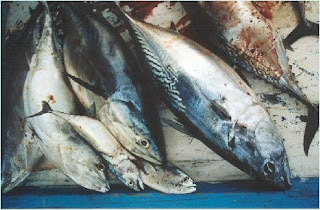 Albacore (bonito del norte) additionally contains vitamin B12, which helps maintain a healthy nervous system. 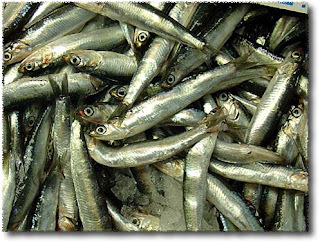 Herrings provide protein and vitamin B12, along with selenium and phosphorous, which contributes to DNA health. 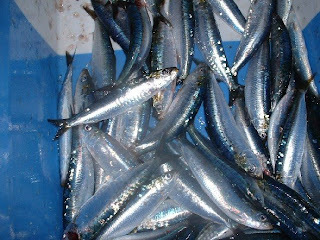 Sardines are a great source of calcium when eaten with the bones intact, especially for those who want to avoid a dairy-rich diet. Our sardines are fished at their fattest, tastier and with guaranteed levels of Omega 3. 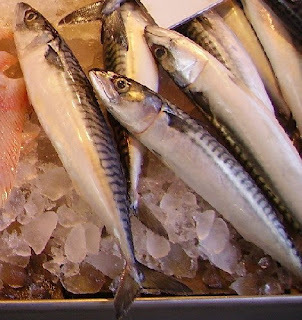 Mackerel contains selenium, vitamin B12 and niacin, and is also low in sodium. Cold pressed oils are produced using traditional methods, which retain the oil's nutritional value and flavour. For example, cold pressed sunflower oil is rich in linolenic acid and vitamin E, while olive oil is rich in mono-unsaturated fats and helps to regulate cholesterol levels. Industrial oils are chemically treated and heated to high temperatures, which converts good fats into harmful trans-fats and destroys much of the oil's flavour too. Following are a few examples of the three basic classifications (beneficial, neutral & avoid) for each blood type. 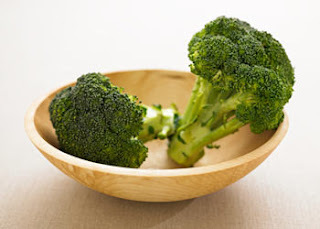 Highly Beneficial: Rainbow trout, sea trout, whitefish, salmon, soya cheese, soy milk, olive and flaxseed oils, peanuts, lentils, black eyed peas, buckwheat, amaranth, Ezekial bread, rice cakes, broccoli, carrots, kale, spinach and many other vegetables, apricots, grapefruit, pineapple, juice of these fruits, ginger, garlic, mustard, rose hips tea, coffee, red wine, and green tea. As a practisioner in TCM, it is with great praise and gladness to note that finally, our Western practisioners are looking forward to try out the 'possible effectiveness' of Chinese Medicine as their next alternative. (See below extracts from a mass-media in Singapore). In the current medical world, it is a known fact there are many areas where TCM has to 'bow' their heads to our western practice, namely; in term of their advanced and sophisticated equipment; indepth medical research; operating superiority; medical aids and medicines etc. This latest move is indeed a good sign in seeking a combined effort to treat and cure our fellow brothers & sisters who are sick. INSTEAD of just popping Western-medicine pills, some diabetic patients at the Singapore General Hospital (SGH) will soon be drinking a concoction of medicinal herbs. They will be taking part in a three-month-long study into how well traditional Chinese medicine (TCM) can prevent kidney damage in diabetics, compared to the Western drug normally given. All 60 patients in the study will be given the usual medication to lower their blood-sugar levels and for other conditions such as high cholesterol.But they will be split into two groups - with half getting enalapril, a commonly prescribed Western drug which protects the kidney, and the other half getting a concoction of nine TCM herbs. The doctors running the study are Dr Bee Yong Meng, an associate consultant at SGH's endocrinology department, and Dr Xu Yue, an associate professor of endocrinology at the Shanghai TCM Hospital, now on secondment to the Bao Zhong Tang TCM Centre at SGH. Diabetic patients whose urine already contains a certain protein - a sign of kidney damage - or whose blood pressure is high, are given medication to lower their blood pressure and protect their kidneys. Without treatment, patients who already have some kidney damage can end up with kidney failure. But the medication produces in some patients side effects such as cough, which can be bad enough for them to be taken off the medication, said Dr Bee. He said if the study yielded favourable results, TCM could become a 'feasible option' for patients who cannot tolerate the medication. 'And if patients prefer TCM, at least we have some evidence to say if they should have it or not', he added. Dr Xu said a similar study on 100 patients she is doing in Shanghai has shown, after a year, that the TCM prescription works as well as standard drugs in protecting the kidneys - without the side effects. Dr Linn Yeh Ching, a senior consultant haematologist at SGH, will also be doing two studies to find out the effectiveness of TCM for patients with blood disorders. The first study, lasting a year, will give TCM herbs to 10 patients with a disorder that causes a low platelet count and for whom conventional treatment has failed. The second one, also lasting a year, will give TCM herbs to 30 patients with blood disorders that cause anaemia. Many of them tend to be elderly people unable to undergo bone marrow transplants, so they can be given only supportive treatment, Dr Linn said. Associate Professor Ng Han Seong, who chairs SGH's medical board, said the hospital was looking to do TCM-related research in three areas - patients for whom conventional medicine has nothing left to offer, patients with chronic diseases, and cancer. He said: 'If we are able to find an alternative, we can give patients another option'. 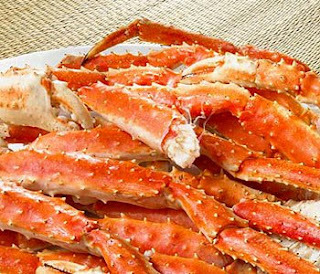 High in protein and low in fat, the sweet flesh of the king crab is spiked with zinc — a whopping 7 milligrams per 3.5-ounce serving. "Zinc is an antioxidant, but more important, it helps support healthy bone mass and immune function," says Susan Bowerman, assistant director of the Center for Human Nutrition at the University of California at Los Angeles. These dark shrivelers are rich in copper and boron, both of which can help prevent osteoporosis. "They also contain a fiber called inulin, which, when broken down by intestinal bacteria, makes for a more acidic environment in the digestive tract," says Bowerman. "That, in turn, facilitates calcium absorption." Enjoy four or five a day to strengthen your bones and boost your energy. 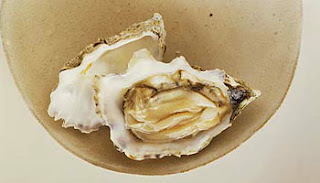 Shellfish, in general, is an excellent source of zinc, calcium, copper, iodine, iron, potassium, and selenium. "But the creamy flesh of oysters stands apart for its ability to elevate testosterone levels and protect against prostate cancer," says Bass. 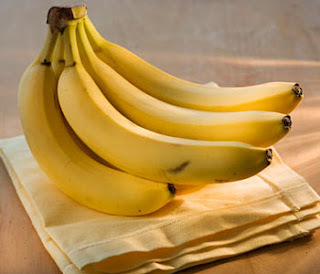 Athletes and performers are familiar with the calming effect of bananas — a result of the fruit's high concentration of tryptophan, a building block of serotonin. 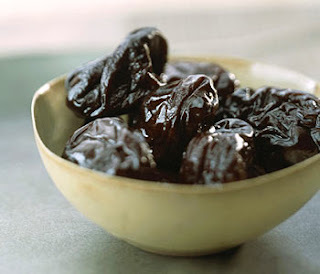 But their real benefit comes from potassium, an electrolyte that helps prevent the loss of calcium from the body. "Bananas also bolster the nervous system, boost immune function, and help the body metabolize protein," says Bass. "One banana packs a day's worth of potassium, and its carbohydrate content speeds recovery after strenuous exercise." 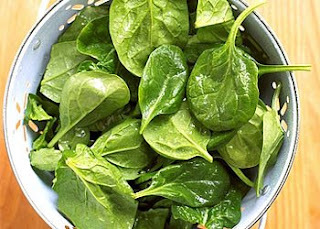 One more reason to add it to your diet: A study in the Journal of Nutrition suggests that the carotenoid neoxanthin in spinach can kill prostate cancer cells, while the beta-carotene fights colon cancer. Lauded for centuries as an aphrodisiac, this fiber-rich plant contains more bone-building magnesium and potassium than any other vegetable. Its leaves are also rich in flavonoids and polyphenols — antioxidants that can cut the risk of stroke — and vitamin C, which helps maintain the immune system. What is Leukoplakia and its causes ? Irritation may result from rough teeth or rough places on dentures, fillings, and crowns. It may also result from smoking or other tobacco use (smoker's keratosis). Pipe smoking involves a high risk for development of leukoplakia, as does holding chewing tobacco or snuff in the mouth for a prolonged period of time. 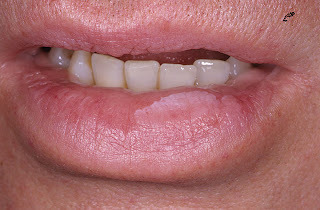 "Hairy" leukoplakia of the mouth is an unusual form of leukoplakia that is seen only in HIV-positive individuals. It consists of fuzzy white patches on the tongue, and less frequently, elsewhere in the mouth. It may resemble thrush, a type of candida infection that, in adults, is also associated with HIV and AIDS. Hairy leukoplakia may be one of the first signs of infection with HIV. -The goal of treatment is to eliminate the lesion. Removal of the source of irritation is important and may lead to disappearance of the lesion. -Dental causes such as rough teeth, irregular denture surface, or fillings should be treated as soon as possible. -Smoking or other tobacco use should be stopped. -Surgical removal of the lesion may be necessary. The lesion is usually removed in your health care provider's office with the use of local anesthesia. What is Okra, or Lady Fingers ? Okra, also known as lady's finger, is a flowering plant in the mallow family (along with such species as cotton and cocoa) valued for its edible green fruits. Its scientific name is Abelmoschus esculentus. The species is an annual or perennial, growing to 2m tall. The leaves are 10–20cm long and broad, palmately lobed with 5–7 lobes. The flowers are 4–8cm diameter, with five white to yellow petals, often with a red or purple spot at the base of each petal. The fruit is a capsule up to 18cm long, containing numerous seeds. The species apparently originated in the Ethiopian Highlands, though the manner of distribution from there is undocumented. The Egyptians and Moors of the 12th and 13th centuries used the Arab word for the plant, suggesting that it had come from the east. The plant may thus have been taken across the Red Sea or the Bab-el-Mandeb strait to the Arabian Peninsula, rather than north across the Sahara. One of the earliest accounts is by a Spanish Moor who visited Egypt in 1216, who described the plant under cultivation by the locals who ate the tender, young pods with meal. From Arabia, the plant spread around the shores of the Mediterranean Sea and eastward. The lack of a word for okra in the ancient languages of India suggests that it arrived there in the Common Era. The plant was introduced to the Americas by ships plying the Atlantic slave trade by 1658, when its presence was recorded in Brazil. It was further documented in Suriname in 1686. 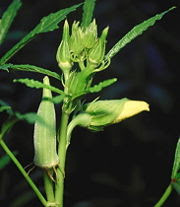 Okra may have been introduced to the southeastern North America in the early 18th century and gradually spread. It was being grown as far north as Philadelphia by 1748, while Thomas Jefferson noted that it was well established in Virginia by 1781. It was commonplace throughout the southern United States by 1800 and the first mention of different cultivars was in 1806. In Egypt, Greece, Iran, Iraq, Jordan, Lebanon, Turkey and Yemen, and other parts of the eastern Mediterranean, okra is widely used in a thick stew made with vegetables and meat. In Indian cooking, it is sauteed or added to gravy-based preparations and is very popular in South India. In Caribbean islands okra is cooked up and eaten as soup, often with fish. In Haiti it is use in rice and maiz and also with meat for sauce. It became a popular vegetable in Japanese cuisine toward the end of the 20th century, served with soy sauce and katsuobushi or as tempura. It is used as a thickening agent in gumbo. Breaded, deep fried okra is served in the southern United States. The immature pods may also be pickled. Okra slices show the pentagonal cross-section of the fruit. 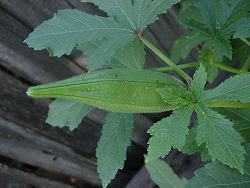 Okra leaves may be cooked in a similar manner as the greens of beets or dandelions. The leaves are also eaten raw in salads. Okra seeds may be roasted and ground to form a non-caffeinated substitute for coffee. As imports were disrupted by the American Civil War in 1861, the Austin State Gazette noted, "An acre of okra will produce seed enough to furnish a plantation of fifty negroes with coffee in every way equal to that imported from Rio." Okra forms part of several regional 'signature' dishes. Frango com quiabo (chicken with okra) is a Brazilian dish that is especially famous in the region of Minas Gerais. Gumbo, a hearty stew whose key ingredient is okra, is found throughout the Gulf Coast of the United States. The word "gumbo" is based on the Central Bantu word for okra, "kigombo", via the Caribbean Spanish "guingambó" or "quimbombó". It is also an expected ingredient in callaloo, a Caribbean dish and the national dish of Trinidad & Tobago. Okra is also enjoyed in Nigeria where okra soup (Draw soup) is a special delicacy with Garri(eba)or akpu. 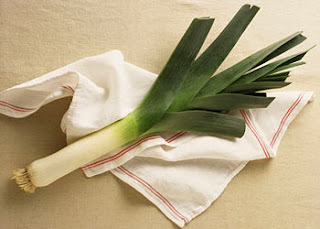 Unspecified parts of the plant reportedly possess diuretic properties. Okra flowers range from white to yellowAbelmoschus esculentus is among the most heat-and drought-tolerant vegetable species in the world. It will tolerate poor soils with heavy clay and intermittent moisture. Severe frost can damage the pods. It is an annual crop in the southern United States. The products of the plant are mucilaginous, resulting in the characteristic "goo" when the seed pods are cooked. In order to avoid this effect, okra pods are often stir fried, so the moisture is cooked away, or paired with slightly acidic ingredients, such as citrus or tomatoes. 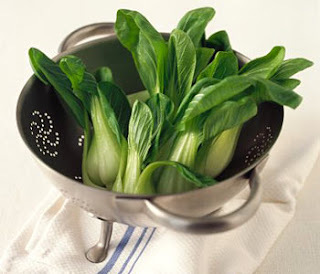 The cooked leaves are also a powerful soup thickener. 1. Keep the body cool and at the proper temperature. 2. Orally re-hydrate your body, it is an all natural isotonic beverage. 3. Carry nutrients and oxygen to cells. 4. Naturally replenish your body's fluids after exercising. 7. Boost your immune system. 8. Detoxify and fight viruses. 9. Cleanse your digestive tract. 12. Balance your PH and reduce risk of cancer. 13. Treat kidney and urethral stones. Coconuts are the fruit of the coconut palm, botanically known as cocos nucifera, with nucifera meaning "nut-bearing." The fruit-bearing palms are native to Malaysia, Polynesia and southern Asia, and are now also prolific in South America, India , the Pacific Islands , Hawaii and Florida. The light, fibrous husk allowed it to easily drift on the oceans to other areas to propagate. In Sanskrit, the coconut palm is known as kalpa vriksha, meaning "tree which gives all that is necessary for living," since nearly all parts of the tree can be used in some m anner or another. The coconut itself has many food uses, including milk, meat, sugar and oil as well as functioning as its own dish and cup. The husk was also burned for fuel by natives, but today a seed fibre called coir is taken from the husk and used to make brushes, mats, fishnets, and rope. A very potent fermented toddy or drink is also made from the coconut palm's sap. Coconut oil, a saturated fat made from dried coconut meat, is used for commercial frying and in candies and margarines, as well as in non-edible products such as soaps and cosmetics. If you've ever opened a fresh coconut, you will have seen the thin, opaque almost clear coconut juice or water which has a slight almond flavor. Contrary to popular belief, this is not the coconut milk. However, the water is consumed as a drink fresh from the coconut by many, and it can also be used in recipes. "It's a natural isotonic beverage, with the same level of electrolytic balance as we have in our blood. It's the fluid of life, so to speak." In fact, during the Pacific War of 1941-45, both sides in the conflict regularly used coconut water - siphoned directly from the nut - to give emergency plasma transfusions to wounded soldiers. - Less fat and NO cholesterol. - It contains lauric acid, which is present in human mother's milk. - Water permeates though the filtering husk. - Its identical to human blood plasma. - The same level we have in our blood. • Coconut water has saved lives in 3rd world countries. 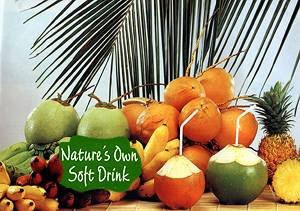 "Coconut water is the very stuff of Nature, biologically Pure, full of Natural Sugars, Salts, and Vitamins to ward off fatigue and is the next wave of energy drinks BUT natural", according to Mortin Satin, Chielf of the United Nation's Food & Agriculture Organization. In people with diabetes, blood glucose levels are too high. These high levels occur because glucose remains in the blood rather than entering cells, where it belongs. But for glucose to pass into a cell, insulin must be present and the cell must be "hungry" for glucose. People with type 1 diabetes don't make insulin. For them, insulin shots are the only way to keep blood glucose levels down. People with type 2 diabetes tend to have two problems : they don't make quite enough insulin and the cells of their bodies don't seem to take in glucose as eagerly as they should. All diabetes pills sold today in the United States are members of five classes of drugs : sulfonylureas (Glicazide), meglitinides, biguanides (Metformin), thiazolidinediones, and alpha-glucosidase inhibitors. These five classes of drugs work in different ways to lower blood glucose levels. Sulfonylureas stimulate the beta cells of the pancreas to release more insulin. Sulfonylurea drugs have been in use since the 1950s. Chlorpropamide (brand name Diabinese) is the only first-generation sulfonylurea still in use today. The second generation sulfonylureas are used in smaller doses than the first-generation drugs. There are three second-generation drugs: glipizide (brand names Glucotrol and Glucotrol XL), glyburide (Micronase, Glynase, and Diabeta), and glimepiride (Amaryl). These drugs are generally taken one to two times a day, before meals. All sulfonylurea drugs have similar effects on blood glucose levels, but they differ in side effects, how often they are taken, and interactions with other drugs. Meglitinides are drugs that also stimulate the beta cells to release insulin. Repaglinide (brand name Prandin) and nateglinide (Starlix) are meglitinides. They are taken before each of three meals. You should know that alcohol and some diabetes pills may not mix. Occasionally, chlorpropamide, and other sulfonylureas, can interact with alcohol to cause vomiting, flushing, or sickness. Ask your doctor if you are concerned about any of these side effects. Metformin (brand name Glucophage) is a biguanide. Biguanides lower blood glucose levels primarily by decreasing the amount of glucose produced by the liver. Metformin also helps to lower blood glucose levels by making muscle tissue more sensitive to insulin so glucose can be absorbed. It is usually taken two times a day. A side effect of metformin may be diarrhea, but this is improved when the drug is taken with food. A new class of medications called DPP-4 inhibitors help improve A1C without causing hypoglycemia. They work by by preventing the breakdown of a naturally occuring compound in the body, GLP-1. GLP-1 reduces blood glucose levels in the body, but is broken down very quickly so it does not work well when injected as a drug itself. By interfering in the process that breaks down GLP-1, DPP-4 inhibitors allow it to remain active in the body longer, lowering blood glucose levels only when they are elevated. DPP-4 inhibitors do not tend to cause weight gain and tend to have a neutral or positive effect on cholesterol levels. Sitagliptin (Januvia) is currently the only DPP-4 inhibitor on the market. Acarbose (brand name Precose) and meglitol (Glyset) are alpha-glucosidase inhibitors. These drugs help the body to lower blood glucose levels by blocking the breakdown of starches, such as bread, potatoes, and pasta in the intestine. They also slow the breakdown of some sugars, such as table sugar. Their action slows the rise in blood glucose levels after a meal. They should be taken with the first bite of a meal. These drugs may have side effects, including gas and diarrhea. Can diabetes pills help me ? Only people with type 2 diabetes can use pills to manage their diabetes. These pills work best when used with meal planning and exercise. This way you have three therapies working together to lower your blood glucose levels. Diabetes pills don't work for everyone. Although most people find that their blood glucose levels go down when they begin taking pills, their blood glucose levels may not go near the normal range. What are the chances that diabetes pills will work for you ? Your chances are low if you have had diabetes for more than 10 years or already take more than 20 units of insulin each day. On the other hand, your chances are good if you developed diabetes recently or have needed little or no insulin to keep your blood glucose levels near normal. Diabetes pills sometimes stop working after a few months or years. The cause is often unknown. This doesn't mean your diabetes is worse. When this happens, oral combination therapy can help. Even if diabetes pills do bring your blood glucose levels near the normal range, you may still need to take insulin if you have a severe infection or need surgery. Pills may not be able to control blood glucose levels during these stressful times when blood glucose levels shoot up. Also, if you plan to become pregnant, you will need to control your diabetes with diet and exercise or with insulin. It is not safe for pregnant women to take oral diabetes medications. In general, diabetes pills are safe and work well. But like any other drug, they must be used with care. All diabetes pills can interact with other medicines. Because of the chance of medication interactions, you need to tell your doctor about all medicines you are taking. While you're taking diabetes pills, you should check with your doctor even before starting anything new -- even over-the-counter items. Any sulfonylurea or meglitinide can cause blood glucose levels to drop too low (hypoglycemia). Metformin or the glitazones rarely cause hypoglycemia unless taken with insulin stimulators (sulfonylureas or repaglinide) or insulin injections. Acarbose or meglitol, taken as prescribed, does not cause hypoglycemia. However, hypoglycemia can occur when acarbose or meglitol is taken in combination with other oral diabetes medications. Pramlintide (brand name Symlin) is a synthetic form of the hormone amylin, which is produced along with insulin by the beta cells in the pancreas. Amylin, insulin, and another hormone, glucagon, work in an interrelated fashion to maintain normal blood glucose levels. Pramlintide injections taken with meals have been shown to modestly improve A1C levels without causing increased hypoglycemia or weight gain and even promoting modest weight loss. The primary side effect is nausea, which tends to improve over time and as an individual patient determines his or her optimal dose. Because of differences in chemistry, pramlintide cannot be combined in the same vial or syringe with insulin and must be injected separately. Pramlintide has been approved for people with type 1 diabetes who are not achieving their goal A1C levels and for people with type 2 diabetes who are using insulin and are not achieving their A1C goals. Exenatide (brand name Byetta) is the first in a new class of drugs for the treatment of type 2 diabetes called incretin mimetics. Exenatide is a synthetic version of exendin-4, a naturally-occurring hormone that was first isolated from the saliva of the lizard known as a Gila monster. Exenatide works to lower blood glucose levels primarily by increasing insulin secretion. Because it only has this effect in the presence of elevated blood glucose levels, it does not tend to increase the risk of hypoglycemia on its own, although hypoglycemia can occur if taken in conjunction with a sulfonylurea. The primary side effect is nausea, which tends to improve over time. Like pramlintide, exenatide is injected with meals and, as with pramlintide, patients using exenatide have generally experienced modest weight loss as well as improved glycemic control. Exenatide has been approved for use by people with type 2 diabetes who have not achieved their target A1C levels using metformin, a sulfonylurea, or a combination of metformin and a sulfonylurea. Salt is a vital substance for the survival of all living creatures, particularly humans. Water and salt regulate the water content of the body. Water itself regulates the water content of the interior of the cell by working its way into all of the cells it reaches. It has to get there to cleanse and extract the toxic wastes of cell metabolisms. Salt forces some water to stay outside the cells. It balances the amount of water that stays outside the cells. There are two oceans of water in the body; one ocean is held inside the cells of the body, and the other ocean is held outside the cells. Good health depends on a most delicate balance between the volume of these oceans, and this balance is achieved by salt - unrefined salt. When we drink enough water to pass clear urine, we also pass out a lot of the salt that was held back. This is how we can get rid of edema fluid in the body; by drinking more water. Not diuretics, but more water !! In people who have an extensive edema and show signs of their heart beginning to have irregular or very rapid beats with least effort, the increase in water intake should be gradual and spaced out, but not withheld from the body. Naturally, salt intake should be limited for two or three days because the body is still in an overdrive mode to retain it. Once the edema has cleared up, salt should not be withheld from the body. Understanding pH Level and Why Many People Have Disease, including Cancer. pH : What does it mean ? pH is the abbreviation for potential hydrogen. The pH of any solution is the measure of its hydrogen-ion concentration. The higher the pH reading, the more alkaline and oxygen rich the fluid is. The lower the pH reading, the more acidic and oxygen deprived the fluid is. The pH range is from 0 to 14, with 7.0 being neutral. Anything above 7.0 is alkaline, anything below 7.0 is considered acidic. If you have a health problem, most likely you are acidic. Research shows that unless the body's pH level is slightly alkaline, the body cannot heal itself. So, no matter what type of modality you choose to use to take care of your health problem, it won't be effective until the pH level is up. If your body's pH is not balanced, you cannot effectively assimilate vitamins, minerals and food supplements. Your body pH affects everything. Cancer needs an acid and low oxygen environment to survive and flourish within. Terminal cancer patients are around 1000 times more acidic than normal healthy people. The vast majority of terminal cancer patients possess a very low body pH. Why ? The normal human cell has a lot of molecular oxygen and a slightly alkaline pH. The cancer cell has an acid pH and lack of oxygen. Cancer cells cannot survive in an oxygen rich environment. At a pH slightly above 7.4 cancer cells become dormant and at pH 8.5 cancer cells will die while healthy cells will live. Again, the higher the pH reading, the more alkaline and oxygen rich the fluid is. Cancer and all diseases hate oxygen / pH balance. The proper alkalinity pH of the blood ( 7.35 - 7.45 ) is critical for the overall health of the body. In other words... alkaline or die. If your body pH is not balanced, you cannot effectively assimilate vitamins, minerals and food supplements. Also, mucus on the small intestine can block your body from vitamin and mineral absorption. How To Test Your pH Level ? Test your pH level : If you are sick or have cancer simply wet a piece of Litmus Paper with your saliva 2 hours after a meal. This will give a reflection of your state of health. Salivary pH Test : While generally more acidic than blood, salivary pH mirrors the blood (if not around meals) and is also a fairly good indicator of health. It tells us what the body retains. Salivary pH is a fair indicator of the health of the extracellular fluids and their alkaline mineral reserves. Optimal pH for saliva is 6.4 to 6.8. Spit upon arising before anything is put into the mouth. A reading lower than 6.4 is indicative of insufficient alkaline reserves. After eating, the saliva pH should rise to 7.8 or higher. Unless this occurs, the body has alkaline mineral deficiencies ( mainly Calcium and Magnesium ) and will not assimilate food very well. To deviate from ideal salivary pH for an extended time invites illness. Urinary pH Test : The pH of the urine indicates how the body is working to maintain the proper pH of the blood. The urine reveals the alkaline building (anabolic) and acid tearing down (catabolic) cycles. The pH of urine indicates the efforts of the body via the kidneys, adrenals, lungs and gonads to regulate pH through the buffer salts and hormones. Urine can provide a fairly accurate picture of body chemistry, because the kidneys filter out the buffer salts of pH regulation and provide values based on what the body is eliminating. Urine pH can vary from around 4.5 to 9.0 for its extremes, but the ideal range is 5.8 to 6.8. 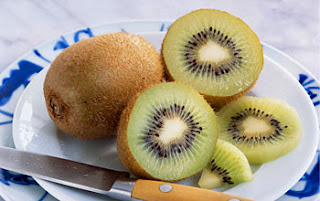 Foods considered to be alkaline-forming and thus helpful to people with consistently acid pH include : almonds, aloe vera, apples, apricots, bee pollen, buckwheat, cabbage, cantaloupe, celery, carrots, cucumbers, dairy products except hard cheese, dates, dulse, poached eggs, figs, grapefruit, honey, lettuce, millet, parsley, raisins, peaches, fresh red potatoes, pineapple, soy products, sprouted seeds, cooked spinach, turnip tops, wakame miso soup, azuki beans, rice, mineral water. People who remain too acid often display symptoms such as : anxiety, diarrhea, dilated pupils, extroverted behavior, fatigue in early morning, headaches, hyperactivity, hypersexuality, insomnia, nervousness, rapid heartbeat, restless legs, shortness of breath, strong appetite, high blood pressure, warm dry hands and feet. Balancing the pH is a major step toward well-being and greater health. Acidosis (overly acidic body) is the primary indicator of Calcium Deficiency Disease. Scientists have discovered that the body fluids of healthy people are alkaline (high pH) whereas the body fluids of sick people are acidic ( low pH ). An acidic body is a sickness magnet. What you eat and drink will impact where your body's pH level falls. As nutritional support : coral calcium, fresh vegetable juices, alkaline forming foods and drinking high pH alkaline water can help balance your body pH. The Minimum Recommendations For Water: (Use Sea salt same as above). Drink a minimum of 64 ounces (about 2 liters) of water every day. I know this is easier said than done. Don't wait until you're thirsty to drink - you'll likely never get this much down. Instead, keep filled water bottles at your desk, in your car, by your bed, and near your favorite chair as a reminder. [If you have congestive heart failure or kidney disease, or if you are taking diuretics, talk to your doctor before increasing your water and/or juice intake]. 3. Coral Calcium has a pH of 10-12 which is extremely high on the alkalinizing side. This means coral calcium will help offset the acid / alkaline ratio within your acidic body, thereby will help return your body to the normal slightly alkaline level. Calcium does not cure disease. As nutritional support, it simply helps keep the pH level of our body fluids in sync so the body fights disease naturally, like it was meant to. Suggested Intake : See Chart, below. 4. To maintain health, the diet should consist of 60% alkaline forming foods and 40% acid forming foods. To restore health, the diet should consist of 80% alkaline forming foods and 20% acid forming foods. Balance is Key !!! A list of Acid / Alkaline Forming Foods. [Balancing the pH is a major step toward well-being and greater health. Acidosis (overly acidic body) is the primary indicator of Calcium Deficiency Disease. Scientists have discovered that the body fluids of healthy people are alkaline (high pH) whereas the body fluids of sick people are acidic (low pH). As nutritional support coral calcium, alkaline forming foods and drinking high pH alkaline natural spring or mineral water can help balance your body pH. Calcium does not cure disease. As nutritional support, it simply helps keep the pH level of our body fluids in sync so the body fights disease naturally, like it was meant to. Your body pH affects everything. As the bio-available calcium and other alkalizing minerals get into the blood and cells the body pH begins to return to the normal slightly alkaline level. Your body must have a balanced pH - 7.35 to 7.45. Most disease thrives in an acidic environment. Coral Calcium has a pH of 10-12 which is extremely high on the alkalinizing side. This means coral calcium will help offset the acid / alkaline ratio within your acidic body, thereby will help return your body to the normal slightly alkaline level]. Best Absorption : Your body absorbs calcium less efficiently as your intake increases, therefore it is best to take calcium in small doses throughout the day. It is recommended to take each capsule at a separate time. It is much easier for your body to absorb the calcium (actual calcium content), if no more than 500 mg is taken at one time. This is why it is recommended to drink quality water with ionic coral calcium through out the day, as opposed to all at once. The actual calcium content of our potent Above-sea coral is 333 mg each capsule. More good news... You cannot take too much of our above-sea coral calcium because whatever your body doesn't use, it passes.